From Monogram Products. 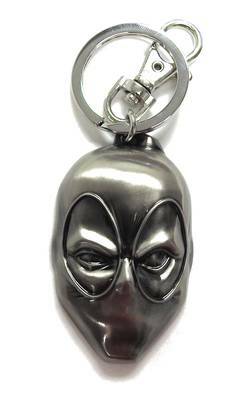 Give your keys character with this officially licensed Marvel Comics Deadpool Pewter Key Ring from Monogram. This durable real-metal key ring features a lobster-style clasp, as well as an O-ring attachment for securely fastening your keys. Attach to your backpack or bag for character on the go!.